This bloodtrail is 100% real. 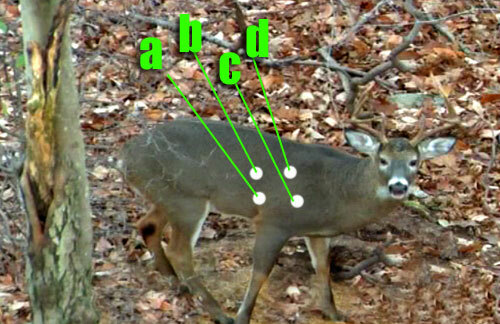 All the pictures and steps are as it happened during a CT Deer hunt in November, 2006. Good Luck! You are trailing a buck shot on an urban deer cull hunt in Southwest Ct. It is early morning and a surprisingly nice buck approaches your treestand. He is facing toward you as he comes in range. But he knows the area well and spots you sitting in the tree. You remain motionless. After several moments, the buck turns to look over his shoulder. 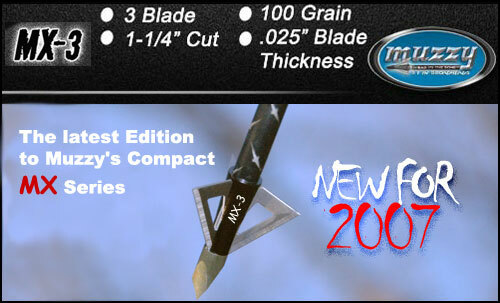 You draw your 60lb bow with a 500gr arrow and a Muzzy MX-3 Broadhead. He turns sideways then looks back at you. Time is running out and this buck is ready to flee. Take a look at this photo then answer the question below. Note: assume this angle is exactly what you see. Do not attempt to compensate for the camera. Also, you are picking the hits, not the targets. So you must assume that the dots are where you arrow is hitting. Prioritize the hits shown from best to worst?